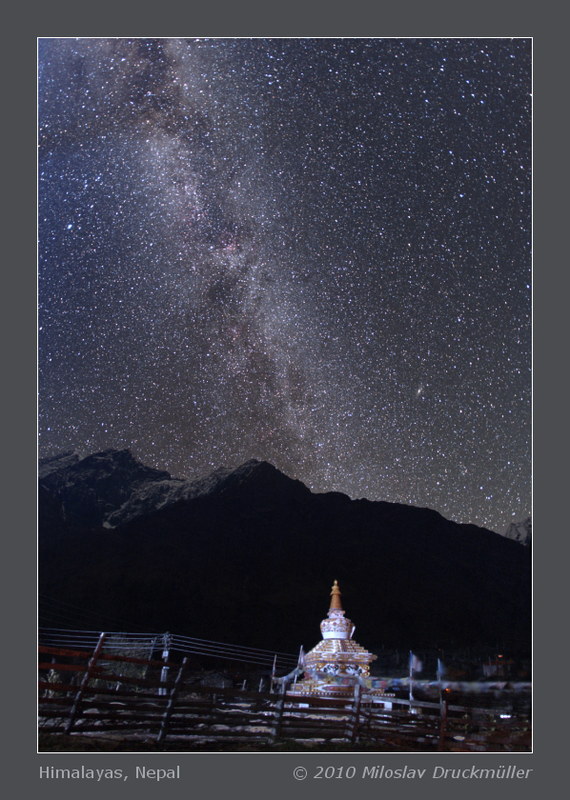 This beautiful Himalayan nocturnal scenery was photographed just near our tent at Lho during the Manasulu trek. The blue color in the top-left part of the image is caused by lit smoke from the fire on which the supper was being prepared. Coordinate N 28° 34.43',E 84° 42.08,03', alt. 3181 m.